Just returned from an exciting trip to Western Uganda. God is bringing us some great men to do the work of God in the West! On Thursday, we were in Rugombe, Kynjojo District where Pastor Bajuna Rogers has started a new church. We just stopped for a few hours on the way to Fort Portal. (Pastor Bajuna has just joined the UACU). There were about thirty people who had waited for us to arrive, who were so excited, to be part of the UACU. Then, we continued on to Fort Portal where we spent the night; the next morning we drove to Bundibugyo Town in the Bundibugyo District. It is a mountainous region (Rwenzori Mountains) bordering on the DRC (Congo). We had a great time of teaching and preaching, and then we had a baptismal service where 21 people were baptized. We also had time to look at some land the church wants to buy to build their church. They are ready to start building as soon as the land is purchased. Pastor Francis Wesige is doing a good work in building the church in difficult times. The major problem is that two months ago there was an insurgency uprising where about 200 people where killed in town due to the Rebel activity. The church had to scatter and many things in town where destroyed, including the location of their church. We are praying for peace so that the church can build and have revival in this city of over 100,000 people. Two other pastors where also baptized in the number and two others are committed to being baptized but want to teach their churches the Apostolic message of salvation, to bring them into the UACU. Then we returned to Fort Portal for the night to prepare for the next safari. On Saturday, we traveled to Kirugutu, Ntoroko District. This city also had troubles from the Rebels, and many were also killed in this smaller city. 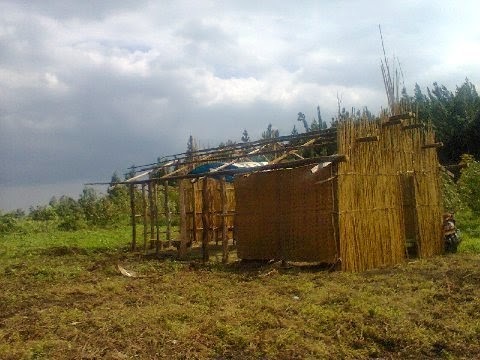 When the Rebels attacked, the Area Coordinator was at the Church teaching on Apostolic Doctrine and a Baptism service was planned, but as the fighting broke out and gunfire was going through the dirt walls of the Church, the Church fled, running through the maize fields to safety to the river valley. Thankfully no one was injured and all escaped to safety. Our Overseer did loose his phone, Bible, materials, and his shoes as they fled. 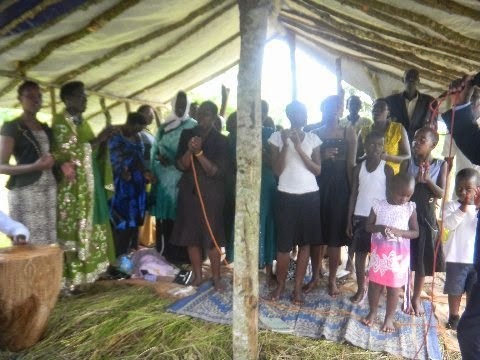 Pastor Patrick Irizo then gathered the Church and had several days of prayer for Peace on the river bank where they were staying. As we were there for a whole day, the community came and assured us, everything was good. Thank God for Peace to preach the Gospel! Our Seminar was a Pastoral/Leadership Seminar and was attended by over 12 Church Pastors and Leaders. We taught on Apostolic Doctrine, Leadership and Christian Behaviors and Fruit. It was a profitable time as many leaders want to know more of the UACU. After the services, we baptized six people, including two of the Pastors. On Sunday, we journeyed only three kilometers north of Fort Portal at a brand new church Pastored by Happy Edson. (Yes, Happy is his family given name). The Church was only one month old, and we were in the temporary structure for the first service. The building was not finished yet and the wind was blowing very hard on top of the mountain, but through it all, we had a great service and four committed to being baptized (we were not able to have a baptizmal service as there was no water close by, so in these occasions, a special time is appointed for all to meet at the closest river), all had already received the Holy Ghost. On Monday, we returned to Kampala. On the way we stopped at Kihuura to be with Pastor Baguma William. He was working on a Larger church house and was almost finished. Then we stopped at Kyatega to visit with Pastor Deogracias Mugarura as he has started a new church in this trading center. Our safari was very profitable as we were in six churches, taught 23 Pastors, baptized 27, including four pastors, and saw the start of three new churches. God is doing great things! We have rented the property in Fort Portal to start our church in the city, this is the property we would like to buy to become our center to reach the western part of Uganda. Fort Portal is on the border with the DRC, and we have a great pastor and congregation ready to work. If you can help us with the purchase of this land, we still need some help to build this church and buy the land. 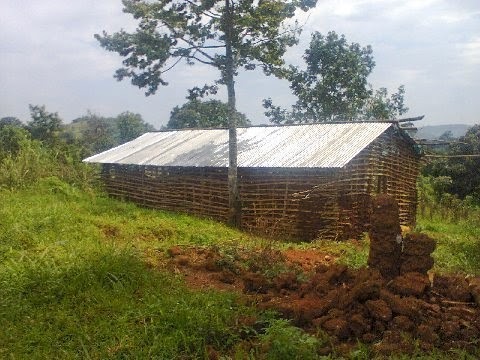 -Kasambya: Eleven Baptized, One Pastor who just moved from Rwanda. 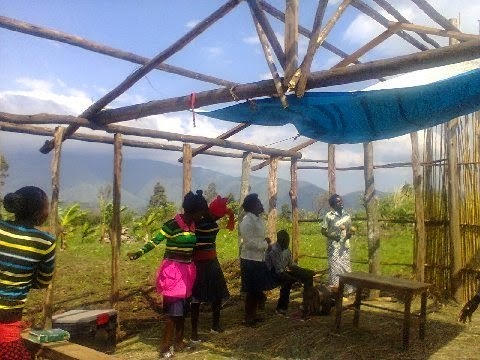 He is starting a new UACU church in the next trading Center, Bubanda. 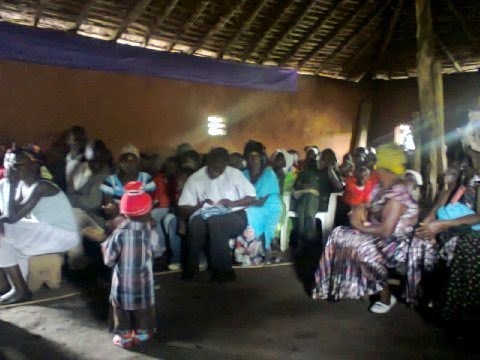 -Bundibubugyo: Pastors Seminar, baptized two pastors, and 21 Church leaders and elders. -Kirugutu: Pastors/Leadership Seminar; Baptized two pastors and four elders. 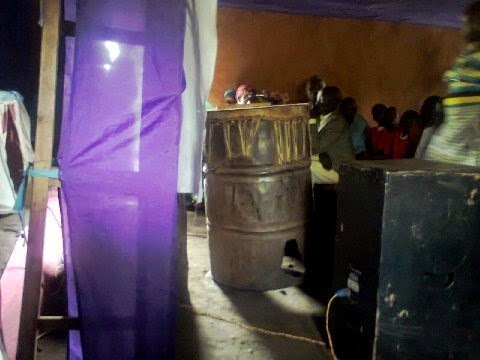 -Kiganda: First service in a New Church; eight received Holy Ghost. 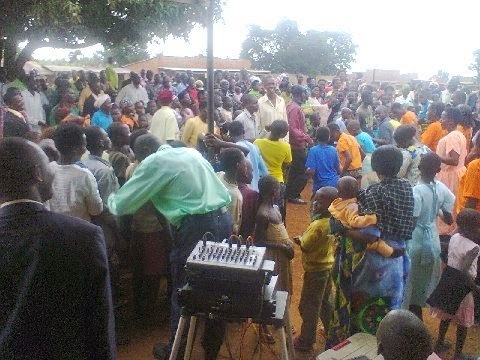 --Pastor Wandera James: Has started four churches on the shores of Lake Victoria this past month in Yeebe Island, Biisa Landing, Soono Landing and Sinuve landing. We do appreciate all of your prayers as we travel the roads of Uganda and visit some places that are not the safest places to be. Thank you for your faithfulness in your financial support as your PIM makes all our work possible. First service in Buseiga,north of Fort Portal, on top of the mountain. 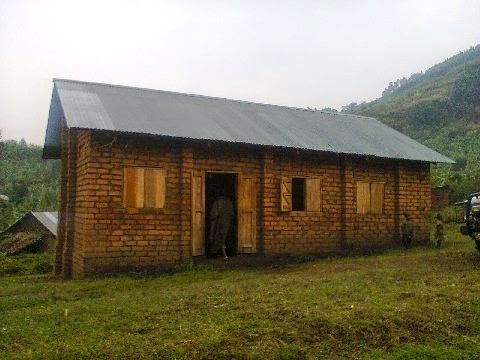 New Church in Kynjojo, Kiboga District in Central Uganda. Church started on July 27th with only two people, today there are over forty members. 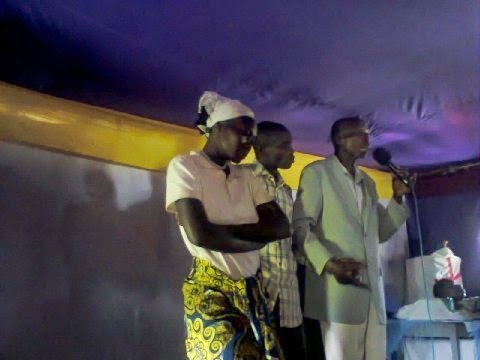 Pastor John Mfitumukiza was baptized and is preparing to begin building a permanent structure. Church house Baguma William is buiding. You notice the mud blocks in front of the picture, that was the old church that was much to small to hold the people. 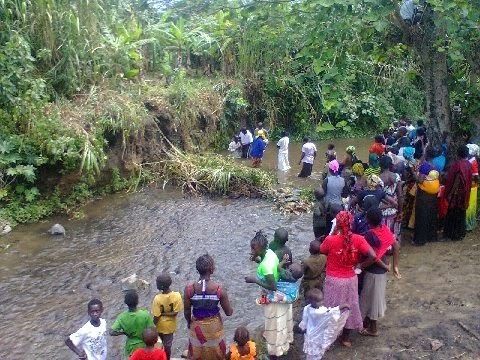 Pastor Kalanzi Baptising in Bundibugyo, on the Congo Border. Pastor and Sis. Anrosi Indostome from Karugutu who were baptised in Jesus Name. On top of the Mountain, worshipping!